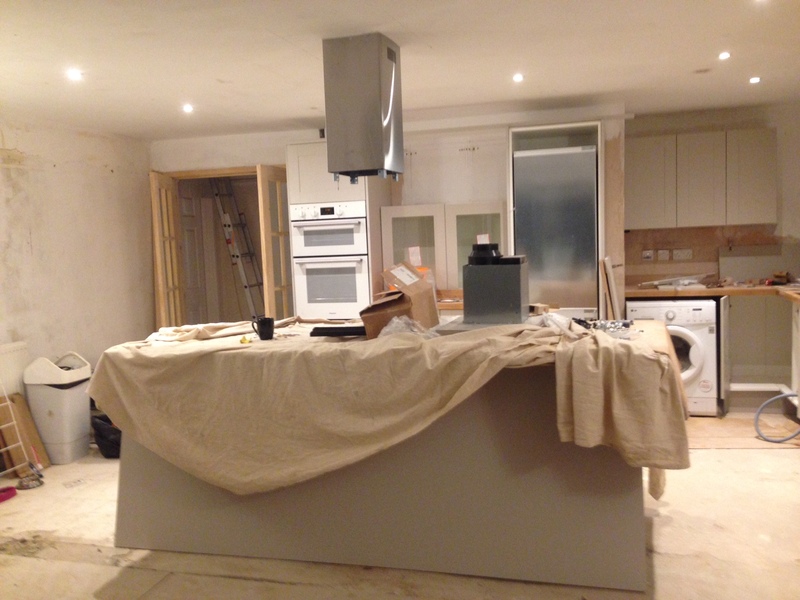 We planned a building project last year and took on a cowboy builder who failed to build the extension according to the building regulations, leaving us with all the mess to sort out. After speaking to lots of friends, it seems like almost every one has had a close encounter with cowboy builders (I am not saying all the builders are bad, there are lots of good ones out there,too).We have gathered all the advice from our friends and come up with a list of tips for any one who is planning a building project at home. 1. To get your building project off to a good head start, it is vitally important to choose an experienced architect who knows what he is doing! Before you hand over the architect’s drawing to the structural engineer, make sure you submit the drawing to the local planning office and check if the plan falls within permitted development. In our case, although the architect said the drawing fell within permitted development, it didn’t and thank goodness, we checked the plan with the planning officer and applied for planning permission. 2. Cowboy builders can be very charming and deceptive, they seem really nice and genuine until the project goes wrong. Check their references, one is not enough, check two, or three. If they start to get offended or uneasy when you ask for more than one reference, run! Also check out citizen’s advice website for more tips on how to spot cowboy builders. 3. They often don’t have a Checkatrade profile and will knock Checkatrade, saying the reviews on Checkatrade are fake. The good reviews on Checkatrade might occasionally be fake, but the bad reviews will be genuine, because Checkatrade will carry out an investigation before they allow a bad review to be published. If the builder you are using is listed on Checkatrade, make a complaint about them to Checkatrade if his work is not up to standard and he ignores your repeated requests for putting things right. My friend was amazed to see how quickly her builder knocked on her door and offered the remedial solution after she complained to Checkatrade. Do bear in mind that Checkatrade will ask for evidence, so keep lots of evidence (contracts, photos and videos) and get everything in writing ( text or email ). 4. Watch out for the builders who have set up a few different limited companies in the past. Check their company’s details and their personal details on companies house website. Fraudsters set up limited company to scam people and limit their liability. When things go wrong, even if you take them to court, the worst thing which could happen to them is losing the court case, putting the company into liquidation and leaving you to pay all the legal expenses. They can walk away without paying any bill and soon enough they will be starting another limited company! 5. Read the contract thoroughly, ask someone else who had similar building works done before to proof read it, schedule the payments to be made at different stages, and insist that any extras outside the contract must be costed and agreed in writing before the additional work is carried out. Without this clause in the contract, the builder could do a bit of extra work and suddenly hit you with a massive bill that you haven’t agreed to. 6. Inform your home insurance provider when the building works will be starting, and add legal expense cover to your home insurance before the building works start; legal expense cover might just be an extra £20 for a year, but it is there to protect you financially if things go wrong and you need the help of a solicitor, who normally charges about £250 an hour plus vat as a standard rate. Do you know that solicitors also charge for reading all the paperwork? Having a solicitor reading the initial paperwork and drafting the first letter to the builder could set you back £800 or £900 if you don’t have legal expense cover. 7. Take daily photos and regular videos of the project progress, I can’t stress the importance of ”DAILY PHOTOS and REGULAR VIDEOS” enough. Without the daily photos and regular videos, you wouldn’t be able to keep a record of the project at different phases and you wouldn’t know which part of the project had gone wrong. Keep all the photos and videos, you never know when you might need to use them as evidence. Record important conversations, and ask for the contact details of the builder’s subcontractors and workers discreetly. One day you might need to contact them directly. In our case, luckily we kept the contact details of the electrician, and after the builder walked off the project, we still managed to get the building regulations compliance certificate for the electrical work directly from the electrician. This certificate is important when we sell our house in the future. 8. Cowboy builders will try to charge extortionate amount of money and extract as much value as possible. If the builder suddenly hits you with a massive bill, ask him to provide you the breakdown for the bill, show you the invoice for the materials, list the cost of materials and the cost of labour separately. In our case, the builder was trying to charge 10k for one week’s work. After we deduced the cost of the materials from the 10k, it worked out that the builder was trying to charge £100 per hour for labour! 9. Phone the building control regularly and check the progress of the project. In our case, the builder lied to me and said to me everything was ok with the building control. If only I had phoned the building control before I made the final stage payment to the builder! 10. If you have concerns over health and safety, put it down in writing, send a text or email, so they can be served as evidence in court if the builder fails to address the issue within a reasonable time frame. Verbal communication is your word against his, and obviously can’t be served as evidence in court. Do you know it is a criminal offence that the builder ignores your repeated requests, fails to address the health and safety issue, and leaves your home in an unsafe state for a prolonged period of time? 11. If the builder asks you to pay him in cash, please insist on getting a receipt from him. If he keeps saying, ‘ you don’t need a receipt, you can trust me, trust me”, that should serve as a stark warning of how unprofessional and untrustworthy this builder is! Our friend’s builder denied receiving her payment, because she trusted him and didn’t ask for a receipt from him! 12. Cowboy builders often try to use the so called ” extra work that needs to be done now” as bargaining chips to manipulate you into signing the next phase of contract or agreeing with extra work that is not necessary. In order to convince you, they might say, ” if you don’t do this bit extra work now, it will disturb / affect the work that we have already done.”, or ” if you do this bit of extra work now, it will save you money in the long run”. Be REALLY REALLY CAREFUL, if they haven’t finished the work you have paid them to do, and are already starting to demand more money for the extra work that they haven’t done. We know a couple who have been knocked 100k, keeping paying for extra work which didn’t really need to be done. It is always useful to get a second opinion from other builders on the cost and necessity of the extra work, why not ask another two or three builders to give you quotes and assessment? 13. Cowboy builders are often aggressive, using all sorts of bullying tactics to intimidate and manipulate people. Stand your ground, if they start shouting, threatening or swearing. Tell them firmly, ” this is my home, if you want to shout or swear or threaten me, get out of my house and speak to my solicitor. ” If you are worried about the builder getting verbally abusive or physically violent, install a secret camera and record everything, especially before you have an important conversation with the builder. Chances are that you might have to call the police and press charges against them for assault later. The minute when you see them starting to get aggressive, get rid of them as soon as possible. An aggressive cowboy builder is like cancer, the minute you spot them, get rid of them as soon as possible, even if it means that you might have to write off the money you paid them already. In our case, we let the builder carry on the work for another 4 weeks, and ended up almost having our entire kitchen completely ruined and costing us even more money to repair the damage. He also pushed me to the floor and then tried to take our sink on the last day when he decided to walk away from the project, and luckily we had it recorded. 14. When things do go wrong, ask a quantity surveyor or the building inspector to give a report, because their reports carry more weight in court than the assessment from another builder. Do take lots of photos and videos and gather as much evidence as possible.